This adorable small tote is detailed with grosgrain ribbon trim and an embroidered applique to really stand out! 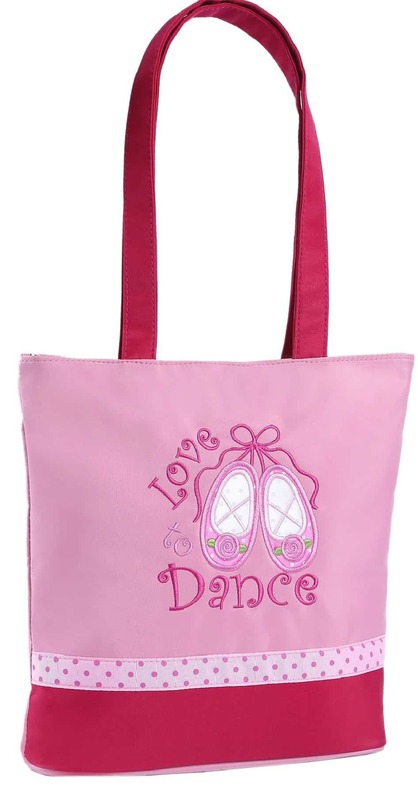 The classic pink colors are sure to please any dancer! Microfiber material wipes clean with a damp cloth. Can be personalized.